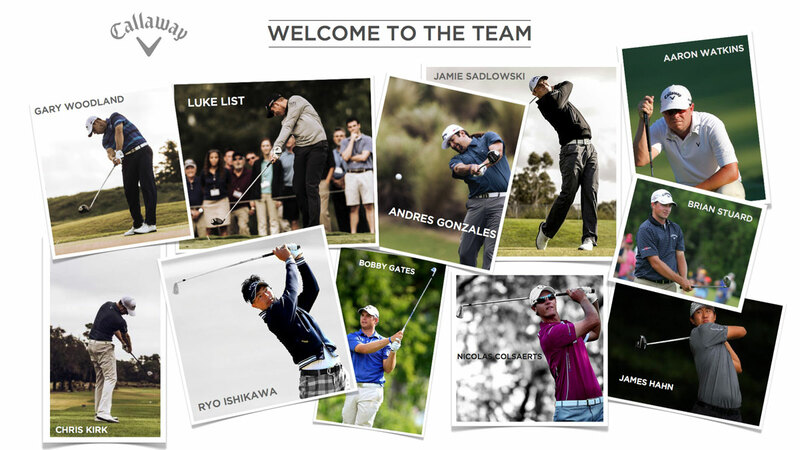 Callaway Golf has welcomed exciting new members to its Tour Staff for 2013. The current Callaway Team, headlined by icons and major championship winners Phil Mickelson and Ernie Els, will be expanded considerably with the addition of long-hitting, young and dynamic professionals. Top new talent includes Gary Woodland, Ryo Ishikawa, Nicolas Colsaerts, and Chris Kirk. “These young players feel the energy here at Callaway, and they have been thrilled with the performance of the new equipment,” says Nick Raffaele, VP, Global Sports Marketing. Below is a collection of brief bios so you can get to know these talented golfers that will represent Callaway on Tour this year. Click each name to see how we announced each of them on Twitter. Callaway signed 21-year-old Japanese star Ryo Ishikawa to a multi-year contract. Ishikawa turned professional in 2008, dominated the Japanese Tour with four wins in 2009 and that same year became the youngest golfer to ever reach the top 50 on the Official World Golf Rankings. Ryo joins Callaway as a full staff professional and plans to play more tournaments on the PGA Tour in 2013. He will play the Company’s new RAZR Fit Xtreme Driver, the X Forged Irons and use the Odyssey putters he has relied on throughout his career. Jackson, Michigan native Brian Stuard finished 20th on the final Web.com money list and earned his Tour card for 2013. The 30-year-old has the perfect combination of youth and experience after previously playing on the PGA Tour. In addition, two exciting current staffers and Web.com graduates, Luke List and Aaron Watkins, will represent Team Callaway on the PGA Tour in 2013. Both relied on Callaway equipment in prior years to propel them to the Tour.